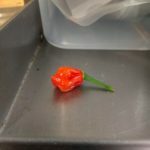 One of the Carolina reapers I’ve been growing at work was finally ready to be picked today. 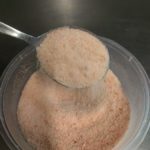 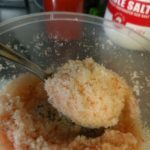 It was only small, so I decided to turn it into chilli salt. I’m quite pleased with the result, but my favourite response so far is from a guildmate.